Back-to-back successes in the DBS Premier Yearling Stakes for William Haggas as Mubtaghaa wins under SDS in the opener at York. 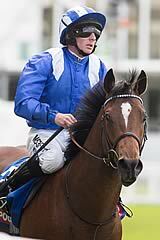 Trainer William Haggas: "He's a sweet horse and he loves fast ground. I'm glad we waited." William Haggas repeated his feat of 12 months previous by saddling the first and third in the valuable DBS Premier Yearling Stakes as Mubtaghaa took the York heat. 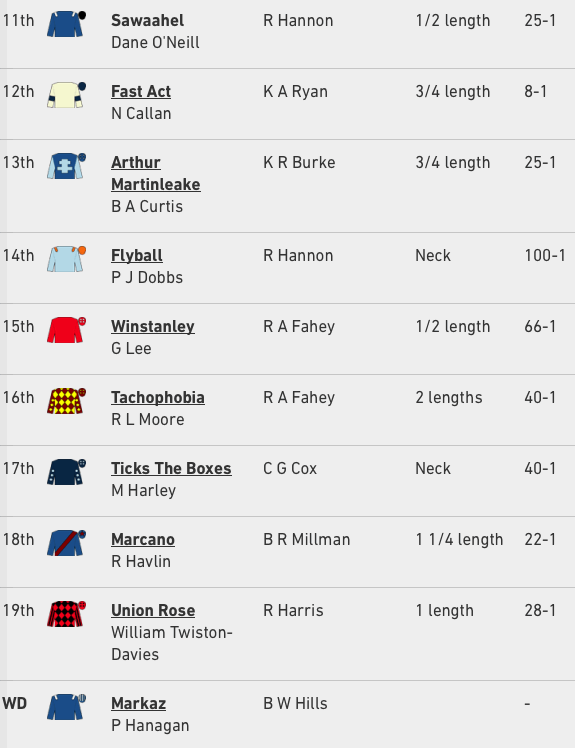 Owned by Sheikh Hamdan Al Maktoum, he was overlooked by retained jockey Paul Hanagan in favour of Markaz, who was withdrawn down at the start. Kool Kompany was sent off favourite having mixed it in the highest company of late but he appeared to find things happening a bit quick early in the race. Mubtaghaa (12-1) and Silvestre de Sousa made their challenge down the centre of the track, with New Providence on the far side, but there was a length and a half separating them at the line. 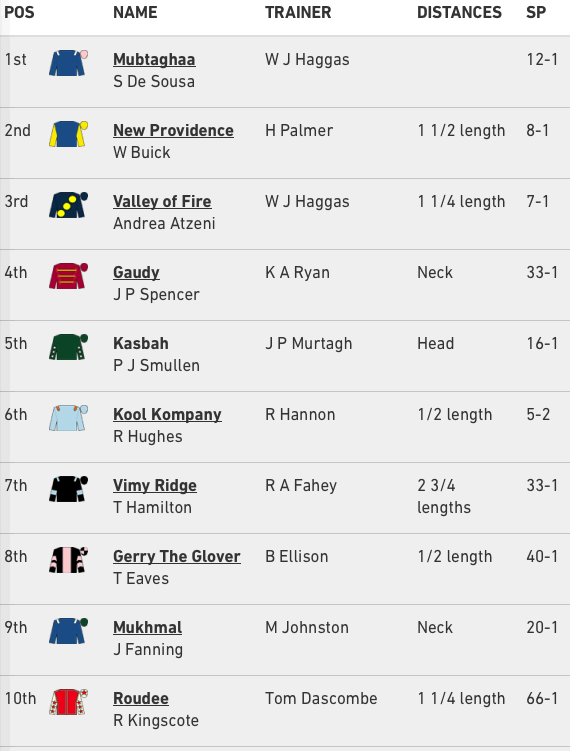 Haggas' Valley Of Fire stayed on to take third, with Kool Kompany out of the places. Haggas said: "I suppose its been the plan for about a month and I didn't run after the July Stakes for fear of picking up a penalty. It's lovely to have a winner when the boss (Sheikh Hamdan) is here. 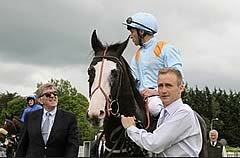 I think I've got him in the Mill Reef so that's something to look at."